Is Jewish Nationalism Synonymous with a Jewish State? The author, Sam Bick, bandies about words like “nation” “nation-state” “nationalism” “ethno racial identity” without defining these terms and then makes some statements which are simply false. The Jewish journey is documented in the bible, (the “Torah” in Hebrew). Canaan, Israel, the homeland of the Jewish people has been integral to the history of the Jews chronicled in the torah from ancient times. The destruction of the first temple in Jerusalem, the destruction of the second Temple by the Romans in 70 AD and the dispersion of Jews from their homeland, Israel, and their longing to return is documented in literature and poetry and historical writings over millenia. A quick google of the name of the author, of this piece, Sam Bick, reveals that he has previously written for EI (Electronic Intifada) and Tadamon (which means allies in Arabic). Tadamon has an office in Montreal). Both of these organizations, EI (Electronic Intifada) and Tadamon are integral arms of the BDS (Boycott Divestment and Sanctions) movement against Israel and Israel alone. They sponsor the infamous Israel/apartheid week conferences on campuses all over North America. EI and Tadamon have both been exposed for propagating opinions about Israel and the Jewish people that are designed to demonize Jews and Israel and whose aim is not peace but only the destruction of Israel. I myself, speak from experience, having attended several Israel/apartheid week conferences in Montreal. By the way the BDS – Boycott, Divestment and Sanctions movement – was initiated at the first UN Human Rights conference in Durban in 2001, a conference that was billed as “The First UN World Conference on Racism”. This “conference” turned out to be a witch hunt directed at Jews and Israel and Israel alone. This has been well documented and continues to be available to anyone who wishes to inform himself on these issues. It was here at Durban that the slogan “Zionism is racism” was adopted by the UN Human Rights Council. Mercifully, this canard was later retracted by the UN itself. However this fact seems to have gone above the heads of the EI and Israel Apartheid and BDS propaganda machines which actively continue to libel Israel and Jews with this canard. For many, in our age, “truth” is an elusive thing subject to argument and debate. Most people are not aware of the background of the BDS movement or that they continue to propagate lies about Israel in order to advance their political agenda. 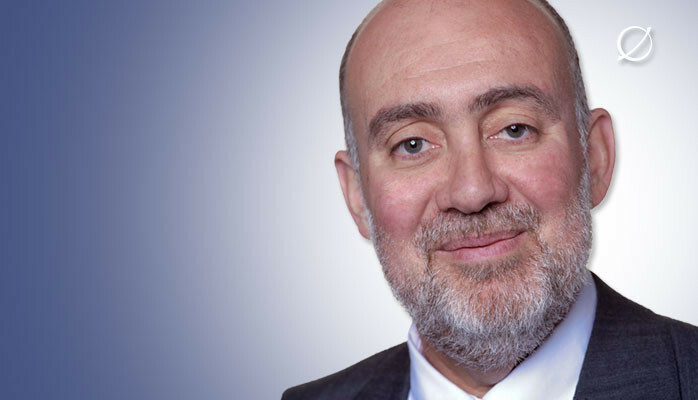 “Anti-israel haters should never have a free lunch” as Manfred Gerstenfeld so aptly put it when he spoke to this issue in Montreal several years ago. There must be a push-back on these issues by academics and others who are appalled at the re-cloaking of sheer antisemitism or Jew hatred into contemporary discourse. Jews are a tiny minority, and it is for this reason, that we Jews and those who love truth must use our wits to fight this injustice. Why Were Copies of the Talmud Burned in Medieval Europe? For those of you who are not aware of medieval theology and its imperial struggles, Talmudic books were burned in the public square from the early to the late middle Ages by Christian Papal authorities all over Europe. The Talmud was first condemned by Pope Gregory IX and burning Talmudic books were first burned at the stake in 1240 AD. In 1236 a Jewish apostate, Nicholas Donin, submitted a memorandum to Pope Gregory IX listing 35 charges against the Talmud. These included allegations that it contained blasphemies of Jesus and Mary, attacks on the Church, pronouncements hostile to non-Jews, and foolish and revolting tales. They asserted that the Jews had elevated the Oral Law to the level of divinely inspired Scripture, and that this impeded the possibility of their conversion to Christianity. Gregory thereupon ordered a preliminary investigation, and in 1239 sent a circular letter to ecclesiastics in France summarizing the accusations and ordering the confiscation of Jewish books on the first Saturday of Lent (i.e., March 3, 1240), while the Jews were gathered in synagogue. Any other persons having Hebrew books in their possession who refused to give them up were to be excommunicated. He further ordered the heads of the Dominican and Franciscan Orders in Paris to ensure that “those books in which you find errors of this sort you shall cause to be burned at the stake.”…The last auto-da-fé of the Talmud took place in Poland, in Kamenets-Podolski in the fall of 1757. What do you make of the above quote “Any other persons having Hebrew books in their possession who refused to give them up were to be excommunicated.“. Yes, non-Jews were reading and owning Hebrew texts in Hebrew at the time. The question comes up “Why”. Why burn Talmudic books? Christian dogma asserted that since Jews were the original Christians, their continuing practice of the Jewish religion negated Christianity as the superior religion. Moreover, it was posited that the Second coming of the Messiah could not arrive until the whole world, but especially the Jews were converted to Christianity. For as as long as Jews continued to practice their Jewish religion, this negated Paul’s idea that the Jewish religious law was no longer necessary and was superseded by the Christian faith which no longer required the performance of Jewish Torah Law known to Jews as “mitzvot”. “Mitzvot” are what Jews think of as G-d’s direct behavioral demands first stated in the Torah, often translated as “laws”. These “mitzvot” were first written down in the “Torah” which is known to Christians as the Five books of Moses. These Torah laws were interpreted and elaborated on and discussed over the centuries by the rabbis and these discussions are known as the “oral law”. “Jewish Law” that is referred to in the Christian New Testament is this oral law debated in rabbinic seminaries and Jewish courts of the 1- 3rd century AD. This Rabbinic Oral Law, was first compiled in written form 300 AD as six tractates of Talmud. It was written down because following the destruction of the Jewish Temple in Jerusalem in 70 AD, the Rabbis feared that this lore would be lost. Jews believe that both the Torah and the Oral Law were handed down at Sinai. i.e. The written Torah and the Oral Law are not separable, but together comprise the understanding of the normative Jewish tradition that has survived over the last two thousand years since the destruction of the Temple. The first written Talmud was put together and written down in the land of Israel and is known as the Jerusalem Talmud. The second version of the Talmud was compiled in ancient Babylonia (currently know as Iraq) and is designated as the Babylonian Talmud. It was compiled in the 6th century AD. Both of these texts continue to form the groundwork of normative Jewish religious tradition. The second, a facebook post which a friend sent me asking if I could comment on. I share them with you because none of us are prepared for this vicious outbreak of Jew hating, anti-semitism by individuals, which at times is still being sanctioned by NGOs and governments. 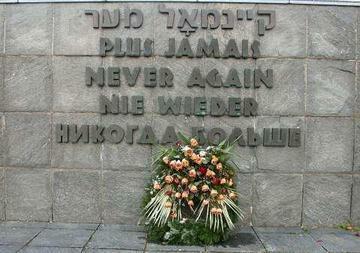 January 27th has been declared International Holocaust Remembrance Day. It is the day the death camps in Europe were liberated by the allies 65 years ago. Apparently the perpetrators, although convinced of the rightness of their efforts, still want to hide their deeds, and maintain some shame about their efforts. The Nazi engineered Holocaust exposed anti-semitism, Jew hatred for the dangerous racist creed that it is. Everyone now knows about anti-semitism. Its current rise and contemporary implications must be squarely addressed by individuals, institutions and governments. We all have to do our part, and we can only do this if our eyes and ears remain open. I invite your comments regarding your experience, wherever you are, and what you are doing about it where you are. Jews have been kicked out of EVERYWHERE THEY GO – BECAUSE of WHAT Jews DO. Jews create the hostility and fury in others. Jews have EVIL, vicious beliefs. Judaism is SICK and HATEFUL, and grotesquely racist. It’s not Gentiles that are the problem – it’s JEWS. How do you respond to someone who call you a wifebeater? The filmmaker, Yoav Shamir, reports that he has never experienced anti-semitism himself and that the reports of it are vastly exaggerated. How lucky he is, having grown up in the protected cocoon of Israel, created in response to vicious genocidal anti-semitism which succeeded in murdering at least six million innocent Jews just because they were Jewish by birth during World War II. Sadly, anti-semitism after years of somnolence is beginning to be emboldened to publicly express itself more and more.This morning I read this on the internet about Students at Oxford involved in an anti-semitic incident. Serious anti-semitic incidents have been reported at York University in Ontario, Columbia University, Berkley, USC Santa Cruz, and I have personally experienced such an incident here in Montreal at Concordia’s CUTV. Fortunately, Canada has been one of the few countries who has spoken out forcefully on this issue and for this we must all, Jews and non-Jews be grateful. “The government of Canada took a historic step yesterday by signing the Ottawa Protocol to Combat Anti-Semitism. (…)The protocol is a declaration that hatred of this nature will not be tolerated in this country. It sets out an action plan for supporting initiatives that combat anti-Semitism and provides a framework for other nations to follow….It also sets out a vibrant definition of anti-Semitism which, for the first time in history, links anti-Semitism to the denial of the right Jewish people have to their ancestral home land — the State of Israel. (…)The Inquiry Panel’s conclusion, unfortunately, is that the scourge of anti-Semitism is a growing threat in Canada, especially on the campuses of our universities… Every person of conscience should take note of the Ottawa Protocols and never forget the lessons of the Holocaust when the world was silent. 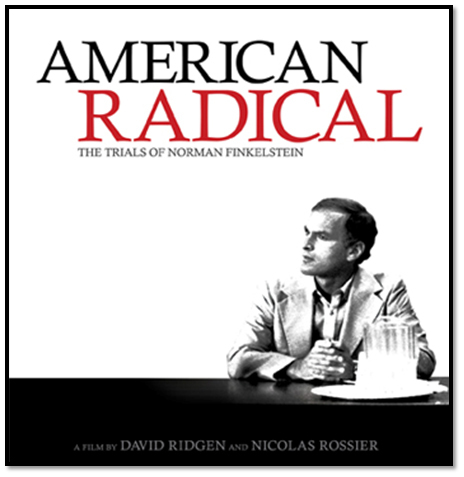 I recently saw the film American Radical: The Trials of Norman Finkelstein (by filmmakers Nicolas Rossier and David Ridgen), at the documentary film festival in Montreal. I too am a filmmaker but I was appalled by the message of this film. Film making can take a very narrow window on any issue and do it very convincingly. Can we forget the films of Reifenshtahl, the Nazi propagandist filmmaker? Can we forget that it was the intelligentsia that believed in and promoted the Nazi ideology for many years prior to the Third Reich carrying out their extermination plan. American Radical, the film about the life of Norman Finkelstein, claims that Finkelstein was not granted tenure at two different universities because of the “Jewish Lobby“. One of the reasons cited in the documentary is a letter from Allan Dershowitz. Dershowitz, a Harvard educated lawyer who is heavily maligned by the Left wing lobby for being pro-Israel and pro-Jewish. He himself was discriminated against for being Jewish and has written about it in is book Chutzpah. The Jewish Lobby is a loaded term. It is the name of a book written by Walt and Mearsheimer, that has been adopted by Middle Eastern Departments hostile to Israel all over North American Campuses. It references the fraudulent book: The Protocols of the Elders of Zion, which was also promoted and studied, as if factual, in German classrooms after the Nazi Party came to power in 1933, and in America as well, (despite having been exposed as fraudulent years before). In the opinion of historian Norman Cohn, the Protocols were Hitler’s primary justification for initiating the Holocaust — his “warrant for genocide”. The fraudulent book, The Protocols of the Elders of Zion has since the early 19th century been the chief source for the fraudulent claim that Jews form an International Lobby whose aim is to dominate the world. Finkelstein is a Jewish son of Holocaust survivors, who is a brilliant but disturbed academic, as is exposed by this documentary. He has been the darling of the virulent anti-Israel campaign mounted by the Left, the same left that supports the Israel/apartheid week on campuses, promotes the Israel boycott movement all over the world and touts Israel as one of the worst human rights violators. Here, he is promoted as a “radical hero” speaking up for the Palestinian cause. Anti-semitism is a dirty word: But not facing it is worse. Since Jews live all over the world, including in Israel, and have every political persuasion, it is not difficult to find Jews such as Finkelstein who espouse anti-semitic and anti-zionist positions. The film maker may be excused for misunderstanding the issues, that Finkelstein espouses. Finkelstien and the Pro-Palestinian left identify the Palestinians with Holocaust victims and this is just as inaccurate as identifying the Palestinian situation with apartheid in Africa. This demonization of Israel and the distortion of the facts needs to be exposed. This film embraces a view of the Palestinian situation through the distorted lens of Norman Finkelstein. It paints the Israel/Palestine situation through the perceptions of one man, and supports him using other left wing anti-semitic academics including Noam Chomsky, Walt, and Mearsheimer. It succeeds in promoting the anti-sematism that is currently thriving in the Muslim world, an anti-semitism that is shrouded in anti-Israel rhetoric. I wrote this post a little while ago but I have updated it with more news from the front regarding current reports of anti-semitism and Holocaust denial as noted in this article: Why Anti-Semitism Is Moving Toward the Mainstream. Note the references to the usual suspects, Mearsheimer, Atzmon, and Noam Chomsky. I wrote the above a few months ago and now I am adding a link to an article about the most recent statements by Norman Finkelstein, which will surprise, you as it surprised the world. But at least it shows that Finkelsltein has not checked his integrity at the door of support for the Palestinian cause. 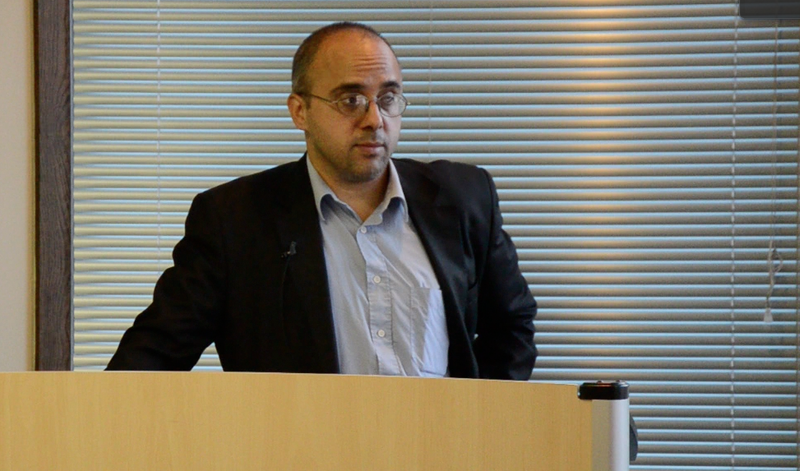 He points out the Lie in the BDS movement.